I’ve been called a wallflower once, many years ago. Perhaps a decade ago. I took it bad, at the time. But I guess there was point. I don’t like talking much with people who I just met. I was just at that dinner because of my dorm mates. It’s weird that I remember this anecdote after so many years. But here I am, remembering. I didn’t mean to jump the bandwagon. 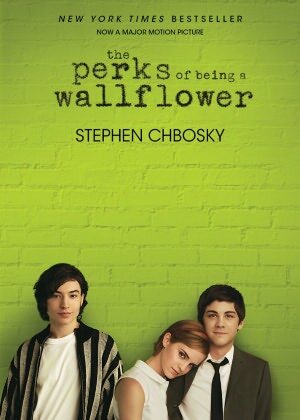 Yes, everyone is reading Perks of Being a Wallflower because the movie is coming out. Admittedly, I found out about it because Cy convinced me to give it a read, he even sent me a pdf copy. But I never got a chance to until I bought it for my birthday. I spent the day before hosting my party and the day itself with a family lunch and generally hanging out with Cy and C. I walked around the bookstore before heading home, I just wanted to buy myself a present. I wanted the one with the original cover design, but the paper for the movie edition looks much better, albeit more expensive. Experience dictates to always go for the one with the better paper quality. Too many of my newsprint editions are now brittle and practically falling apart. Not worth the small savings in the beginning. I want to feel infinite too. This thought is in my head. I started giving the book a read a couple of days ago, but since I always have too much to do, I couldn’t really sit on it. But I decided to do so today. It’s actually a matter of accident. I needed to go to the bank, so I read a couple of letters there. Then, I needed to take a passport photo (again) for my visa, so I started reading some more letters again in a cafe. But then, I didn’t stop reading. I sat there with a cup of coffee and a brownie, and just read. 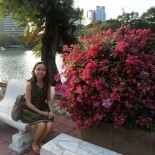 The waiting time for the photo was 30 minutes, I spent 3 hours reading in the cafe instead. By the time I sat back up, I’ve finished the book, with Fleetwood Mac‘s Landslide playing in my head. I felt sad, but a good kind of sadness. I want to feel infinite too. It’s been a while since I wrote something more personal. I’ve been persecuted for taking too personal a perspective on things. I let go of these people long ago, but it still took me some time to be personal again. In a way, Charlie inspired this feeling of freedom for me. Some people may have it worse, but it doesn’t make your problems any less real for you. We just need to keep on moving forward, taking in whatever lies ahead. I just want to feel the wind on my hair again. I like that I have friends that I can talk to about books, music, and movies. It’s like in the book, but less drama and romance. It’s more of our own flavor of life–dreaming of greater things, of things that are beyond us. Things that we want to create, things that we want to change. Our situations in life can only affect us so far. In the end, it’s the decisions that we make that matters. Maybe someday, there might be romance as well. If there’s someone who can share the passion for books, music, and movies. Not necessarily the same things, but the same passion for something. It’s what life is about anyway. We are special, and it helps that there is someone to remind us that we are. I listened to The Smith’s Asleep for the first time tonight. I have to admit, I liked it. I want to listen to more of The Smiths. 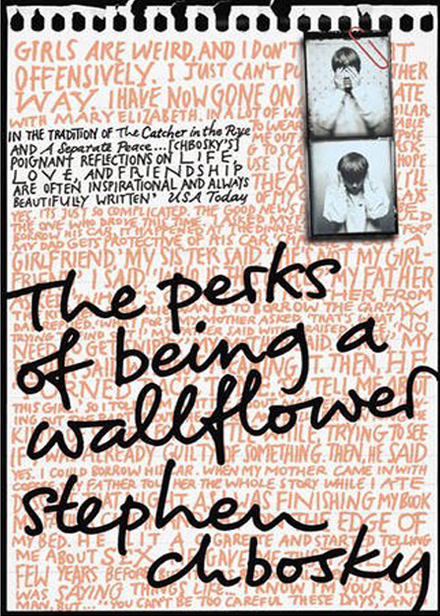 I want to get the songs Stephen Chbosky mentioned. I want a copy of that particular playlist. I want to imagine that life, that world. Books and music just opens up new worlds, instead of just being stuck in one world. Another thing, I couldn’t leave the mall without going to the bookstore again. This time, it’s for Jack Kerouac‘s On the Road. I’ve always wanted to read him but I never could find the time or the motivation. 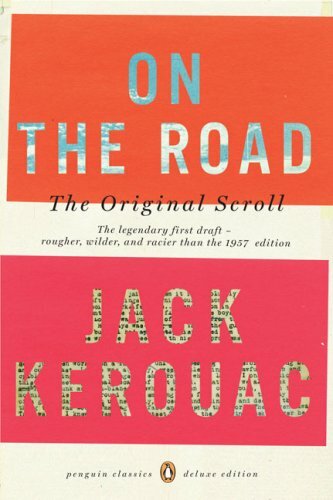 I’ve read several novels mentioned in the book, but not yet of Kerouac. I told myself earlier to be more careful of my spending. But here I am. I don’t have to shop for clothes or any of the things girls usually shop for. But I never could resist books that I’ve set my eyes on. I love that song, though, I could not quite figure out the meaning. Growing old, living life… Imagine that song playing as loud as it can while driving through a tunnel. Imagine being on a back of a truck, your clothes creating a flowing river in the wind. You should put this book on your to-read list 🙂 I don’t know what to expect with the upcoming movie. Landslide speaks to me, I dunno why. There is this sad feeling it always wants me to feel. Anyway, I think I should add this up to my to-read list. Having a hard time reading Sense and Sensibility. It makes no sense to me how petty the characters are. hahahah. Well, I think Landslide is like Wallflower. It’s sad, but it’s not the bad kind of sadness. It’s a good kind that still makes you smile and ponder with the sadness. Yes, i think you will enjoy this book. I’m a Jane Austen fan myself, but maybe you should start with Pride and Prejudice rather than Sense and Sensibility. Or better yet, try my favorite, Persuasion. Keep in mind that in our literature today, marriage for love is typical, it’s the norm. Romance is very common. But this concept is new in Jane Austen’s time. She started the romance genre. Marrying for love, rather than advancement would be ludicrous. The petty characters she portrays is also her way of social commentary. She is criticizing the manner of the gentry where she belongs. Ooh now I kind of get her. I’m like, is she serious with her character? Guess, I did not give her the benefit of writing from another era. Will keep that in mind. However, after SS, I might not Jane Austen in a while. Her sentences are too long for me. Sorry but not her fan. And on Landslide, I agree with you about that good sadness it conjures. It’s sad but you always want to reminisce it. No, not too serious. This is supposed to be comedic too. Keep in mind that this is sort of like the first romantic comedies ever. Some characters are meant to be ridiculous. Social commentary in a romantic form. This entry was posted on September 13, 2012 by Portia Placino in Book Review, Random Writings and tagged book, book review, Fleetwood Mac, Jack Kerouac, Landslide, Perks of Being a Wallflower, Smiths, Stephen Chbosky.